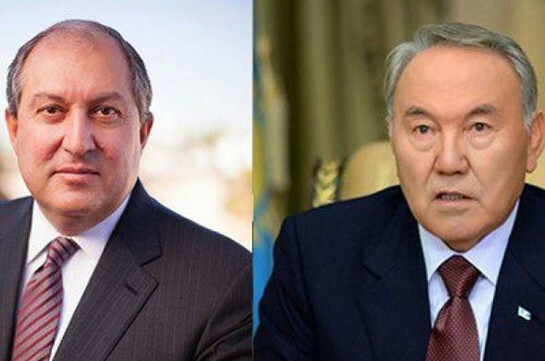 Armenia’s President Armen Sarkissian had today a phone conversation with the first president of Kazakhstan Nursultan Nazarbayev, president’s press office reports. Sarkissian and Nazarbayev have lasting warm personal relations. During the friendly conversation, the Armenian president emphasized the big contribution Nursultan Nazarbayev had to the development of partnership relations between Armenia and Kazakhstan and to boosting cooperation between the two countries in political, economic and humanitarian sectors. The president attached significance to the remarkable role of Nursultan Nazarbayev in different integration processes. Sarkissian also wished Nazarbayev health and success for the sake of reinforcement of friendship and cooperation between the two states and further progress of Kazakhstan. “Political partnership between Armenia and Russia develops very constructively and dynamically. 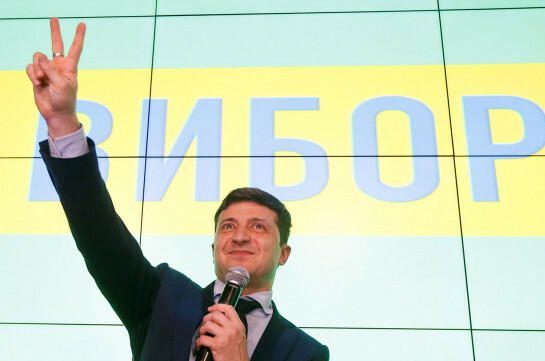 Leaders of our countries met seven times during the past year.